“I think if you’re looking at a PC, why would you buy a PC anymore? No really, why would you buy one?” Apple CEO Tim Cook recent queried a Telegraph reporter. It’s a great sound point, but there’s at least one big reason that the iPad Pro won’t be replacing enterprise PCs anytime soon. In the startup world, it’s called drinking your own Kool-Aid when entrepreneurs, particularly product creators, get too excited about their own products. When that happens, they to get absorbed in the details that don’t add value instead of listening to the customer’s problems and building solutions that solve those issues. 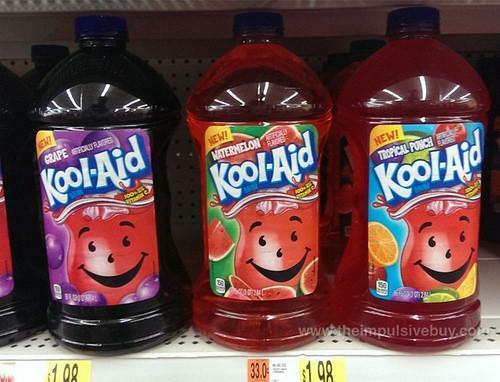 I’d say Apple is drinking too much of its own Kool Aid. By improving user experience of a certain type of product better by applying inventiveness and creativity to make incremental, and sometimes game-changing improvements. Look at the Apple Watch and the iPod pro. By creating new markets and customer categories for current products with incremental innovation. Consider the gold and role gold iPhones and the advent if iPhones in China and India. By creating an emotional connection in people to Apple products. People love their iPads, iPods, and Mac Books as if they are living things. No one does better in terms of shininess, ease of use, attention to detail, and quality of hardware and software. People take pride in the product. The new iPad Pro has a lot to recommend it. A lot of design passion and cool technology has gone into it: the A9X chip, the lightness, the thinness, the split screen, and the pencil. The team that made the iPad has taken great care to make sure the pencil adds great value by extending the capabilities of the iPad through the pencil, as just one example. Even the introductory video that creates that great first impression of the iPad Pro seem to be getting only larger and grander, on par with Hollywood productions. Unfortunately, all that Apple talks about is the feature, rather than the problem that those features solve. That’s a big mistake. The user needs to understand the benefit of each feature. It’s the difference between a groundbreaking product and a product that has been created for the sake of creating a product. That is the big miss I see in the iPad Pro presentation. It doesn’t make it clear how the product makes people’s lives better or easier. Apple could have made that happen. Consider battery life. People worry constantly about where the nearest power outlet is. People forget the cables needed to ensure that they can charge their device. In the earliest days of Apple, Steve Jobs was laser focused on problem solving—and it often took a long time to get there. It should be part of the company’s DNA. A local technology incubator ATDC Georgia Tech offers a course called Startup Gauntlet. The inspiration behind the name was to refer to the literal action of throwing down a glove to issue a formal challenge or to confront someone. The word itself comes from the French word “gantlet,” and referred to the heavy, armored gloves worn by medieval knights. In an age when chivalry and personal honor were paramount, throwing a gauntlet at the feet of an enemy or opponent was considered a grave insult that could only be answered with personal combat. The offended party was expected to “take up the gauntlet,” to acknowledge and accept the challenge. Later, as steel armor became less common, it continued to mean any heavy glove. As part of the course, students interview potential customers about the problem they have. They are told to focus only the problem—without bringing up their solution. The theory is that the person having that problem will talk to you because he is so badly in need of a solution to his painful problem. Once you identify that problem, then validate it and make sure that market size is at least a few billions of dollars, then you are onto something. The program is run with rigor, and instructors question the entrepreneurs with rigor for six weeks—in order to help them truly vet their ideas. Apple needs to institute such rigor in adding new capabilities to their product and in creating new ones. They need to throw products in front of users, see how they use it, what works, what doesn’t—and do that over and over again until they know who their user is and what problem they are solving. Are the users consumers looking for fun or enterprise users looking to get more done on the go? I do believe the iPad Pro presents lot of opportunities for enterprise users, especially in the supply chain space. The mobility allows supervisors in distribution centers and manufacturing plants to walk around with quick access to all the data they need. They can easily pull the data in to an Apple TV using airplay and present that data in their meetings. 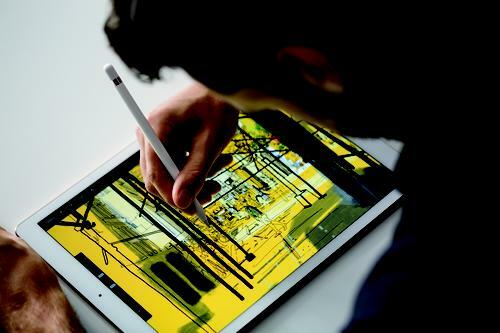 The iPad Pro can make it easier to manipulate data using a touch screen or pencil. Eventually, users will want to be able to port data back and forth to Microsoft Excel and other business programs.